Ever stand paralysed in front of a wardrobe full of clothes with nothing to wear? When I’m not cooking, cleaning, raising my family, running them all over town or running my business, I love playing dress up! 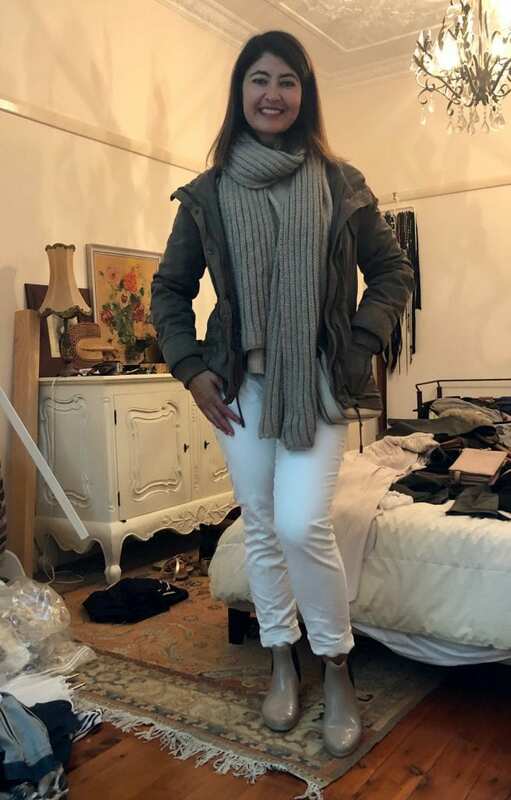 Note: All the looks in this post are by Shop With FiFi who breathed life into the old clothes in my wardrobe. 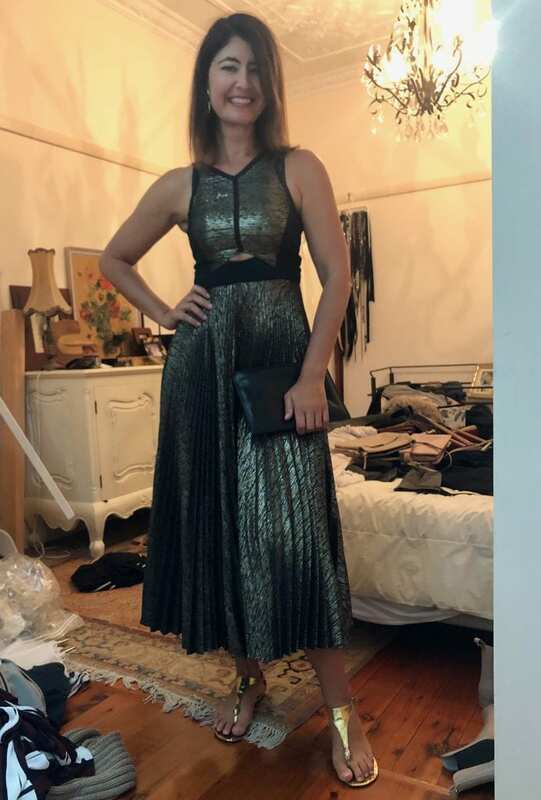 Here’s a Sass & Bide dress I picked up on sale a few years ago teamed with my very old, gold Missoni for Target to wear to a “no stilettos allowed” 50th birthday party I’m going to on Saturday night! 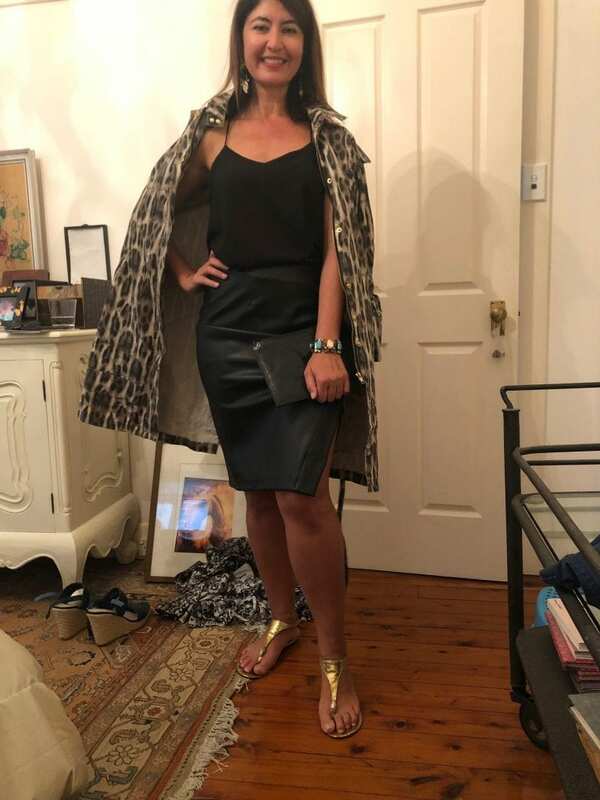 Even if it’s just to follow my son during a round of golf, or on the sidelines of my daughter’s netball game, and certainly when I’m out to lunch with my girlfriends, or on a (rare) dinner date with the hubby, I like to feel confident, chic and effortless in whatever I’ve thrown together. Teamed with this old Witchery jacket for when I’m standing at Heffron Netball Courts, otherwise known as the coldest place on earth, watching my daughter in the Winter time. FiFi tip: Jean cuffs should hit the top of the boot! But usually at the start of a new season, I’m like a deer in headlights staring at my wardrobe, and I know it sounds like #firstworldproblems, but I almost dread getting dressed for the day. A wardrobe detox and styling session is up there as one of my favourite forms of self-care, I’m always left feeling refreshed, fulfilled, confident and so good that I’ve treated myself to something fun. The other option for the “no stilettos” 50th birthday party on Saturday night, but I might save this one for a dinner date with hubby. 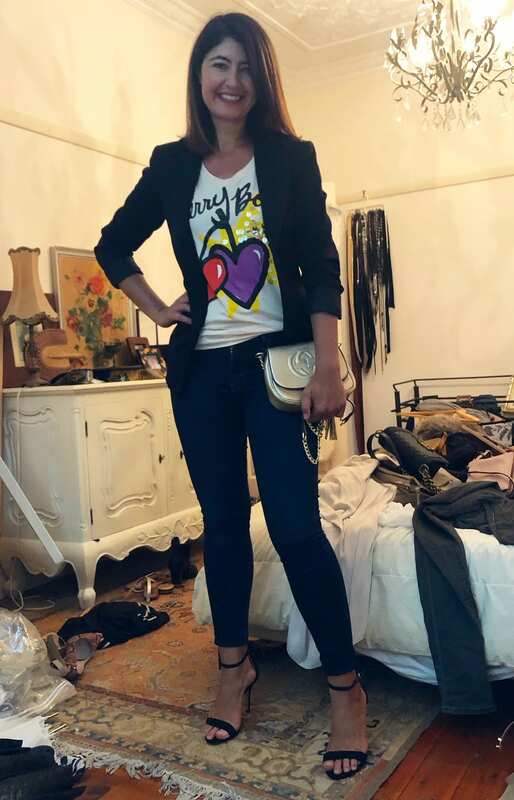 It’s had been a couple years since my last wardrobe detox, and desperate to pare down to basics, streamline and style, I remembered a super-lovely and super- stylish lady I’d met at a friends birthday drinks who was a personal stylist and shopper, and that was FiFi from Shop with FiFi and The FiFi Report. I highly recommend following FiFi on instagram for all her current fashion tips from ‘luxe to less’. So I got FiFi around to unlock some of the dark secrets of my wardrobe on a search-and-destroy mission and a mercy dash to search-and-accessorise and we’re going to follow this up with a shopping spree too (blog post to come). And that’s what FiFi has done for me. Two garbage bags full later and endless looks styled to fit my brief, I’m strutting my stuff down the street as though I’m Naomi Campbell 😂That’s truly how good I feel! Below are a few more looks I love …. I can’t wait for Stage 2, when FiFi takes me shopping for a few missing items which will just make getting dressed each day even more effortless. Do you have a favourite look FiFi put together for me? Let me know in the comments! You can follow FiFi at Shop With FiFi here.